Possible to change km on Ferrari using Digiprog 3 clone? I've done a 2010 458 by obd with digiprog. Will try 458 with Digiprog 3. Your thoughts? Once did a 458 with Digiprog 3. Someone doubt that DP3 can do this. But for me, it works! Though it is a clone, but the software is same as original tool. 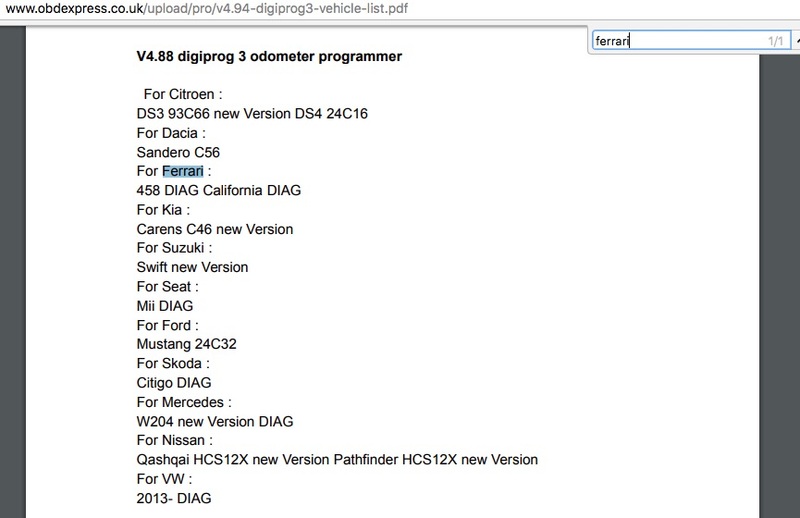 The tools only needs to read the EEPROM, we know Digiprog can do this for many other cars without problem, so if it reads the correct mileage so I don’t see much risk. But the mileage is also in the ECU of Ferrari. Anyone got experience of China clone Digiprog on Ferrari? it was no problem when using digiprog 4.94. Digiprog says it can do over obd, but i have a hard time to believe it does 2012 Ferrari 458. Any professional or official can help confirm this? Confirmed! 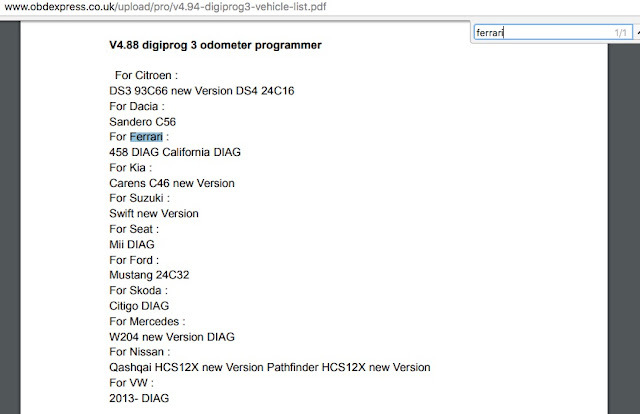 Digiprog 3 Ferrari 458 is supported since version 4.88!